Your body has an amazing capacity to heal when given the proper nourishment. Learn how to eat to decrease inflammation in your body and why healthy digestion is key. 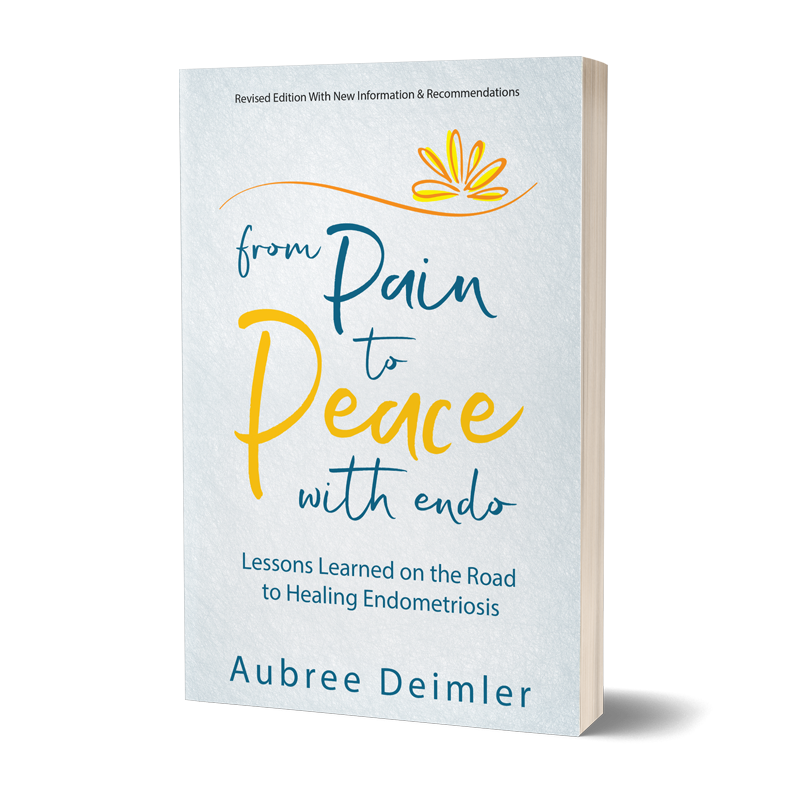 Understand the connection of your hormones & endometriosis. See why it is necessary to release toxins from your body & mind. Learn how to find peace and love for your body and that, which is greater than your physical shell. ….and many other online retailers! 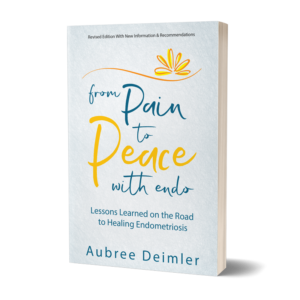 As a certified holistic health coach and found of Peace With Endo, Aubree is deeply passionate about wellness and inspiring other women with endometriosis to reconnect with a life filled with love and positive rhythms. Aubree is available for speaking events on the subjects of nutrition, healthy lifestyle, stress management and overcoming suffering.